Here’s my latest knitted bunny rabbit (the pattern can be found here). That’s the girls sorted out for Easter, now to create something for the boys. 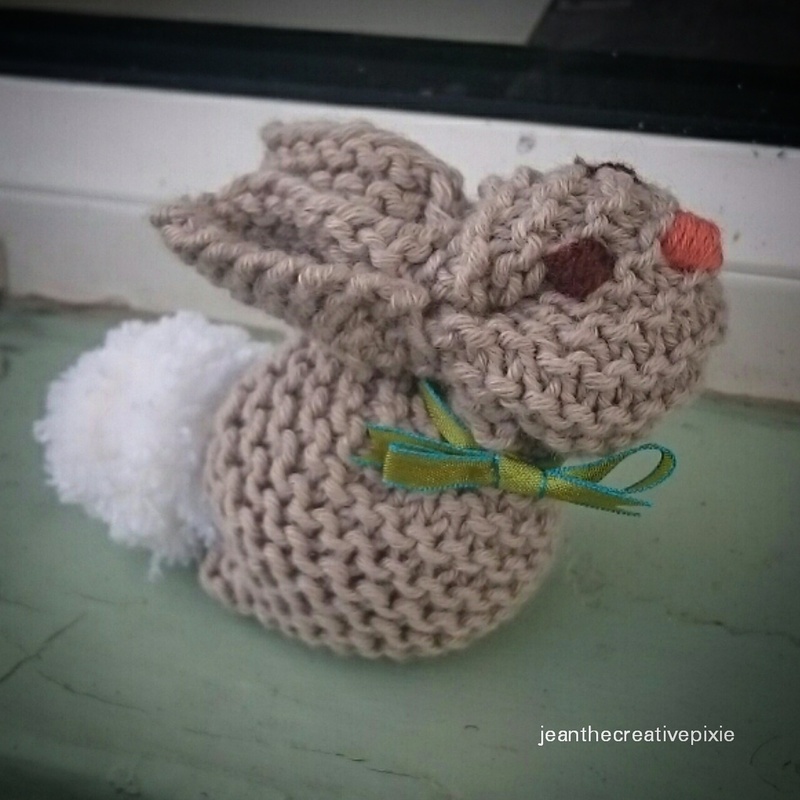 Hi Jean, I’ve just given the knitting needles back to Mum as I know this is not the year that I will learn to knit, but seeing your cute little bunny does make me wish I could knit. It’s lovely. I can see them dangling from a mobile or something similar in a children’s room. Maybe you could knit an Easter dinosaur for the boys? Aw that’s a shame. A knitted dinosaur, now there’s a challenge, not sure it’ll be this year though.